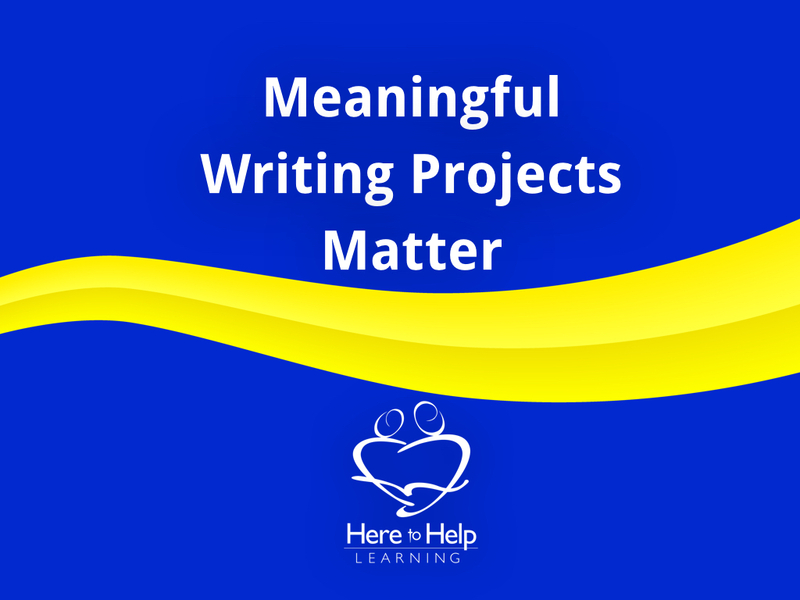 Meaningful writing projects motivate all writers, especially young ones. 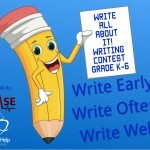 Providing a writing project that has purpose helps to motivate your child to learn to write. Have you ever heard this question from your child? Why do I have to write? The question may come with a whiney tone, but It is not a question of rebellion or sassiness. It is a deep-rooted question that haunts all of us in every task we face. Why am I doing this? What is its purpose? I have asked the question in my mothering and even in ministry. The answer defines my purpose, and moves me to do my best. When I have a purpose, it awakens my passions and encourages me to yield to instruction. I have noticed in myself that I can’t be bought off with counterfeit motivations such as “I told you so” or “That’s what you are supposed to do.” I need conviction. 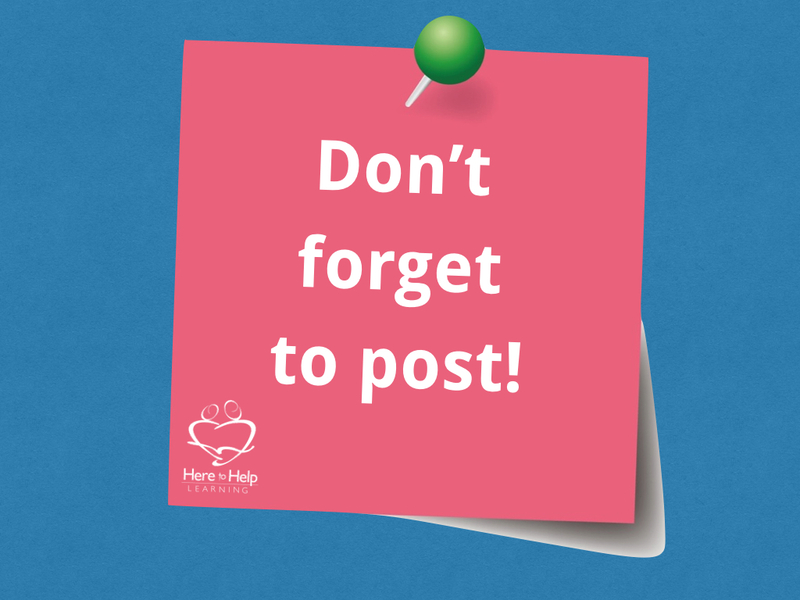 When it comes to writing, your child needs purpose too. 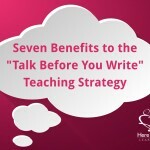 Like any writer, meaningful writing projects matter to your child. 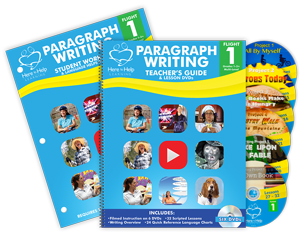 Here to Help Learning’s writing projects are designed to make writing meaningful for your child. 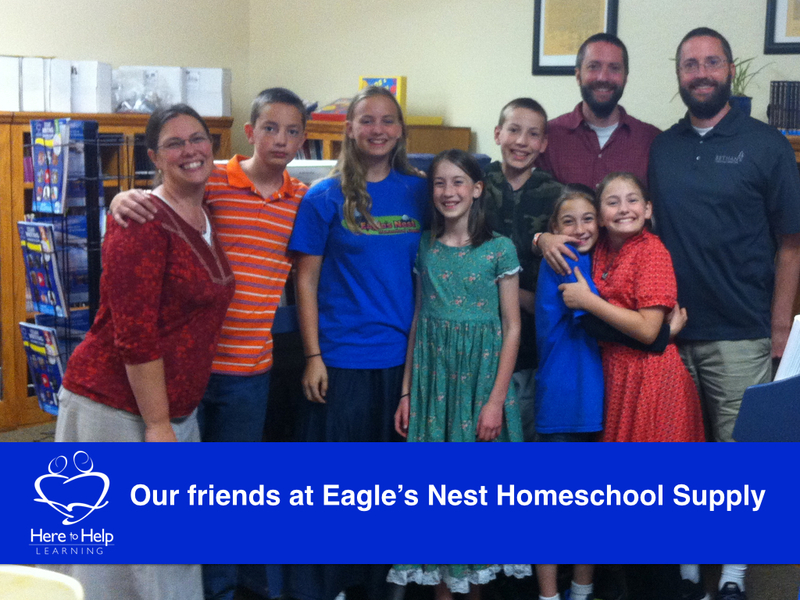 Jeff, co-owner of Eagles Nest Homeschool Supply, and his wife Jessica homeschool their family of seven children. 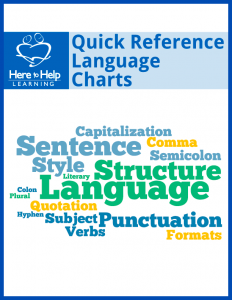 Their daughters, Gwen and Leah are using Here to Help Learnings Writing Program. 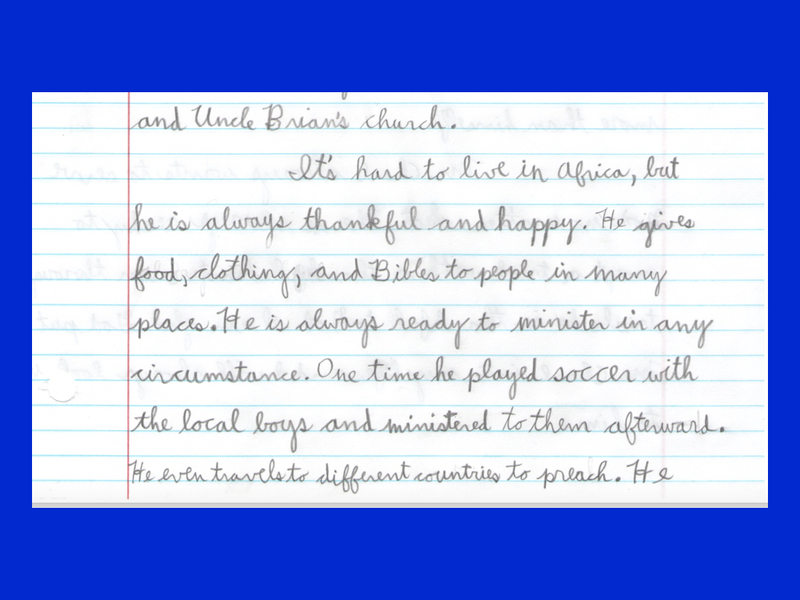 One reason Jeff chose HTHL is because of the emphasis on the purpose of writing- to bring God glory and serve others. 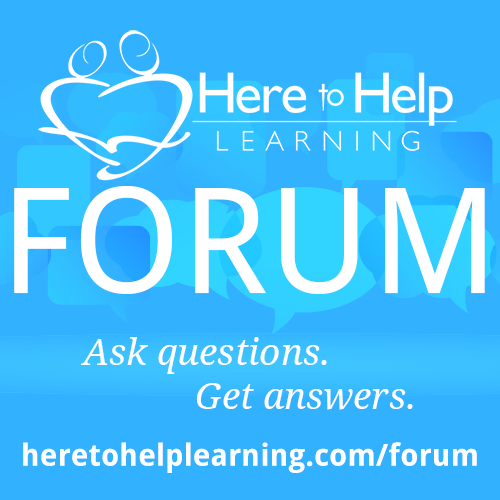 He evaluated other homeschool writing programs and was dissatisfied with their stated purpose in teaching children to write. He relayed one curriculum’s end goal was to “impress others”. That is not the reason I want to teach my children to write, Jeff emphatically stated. 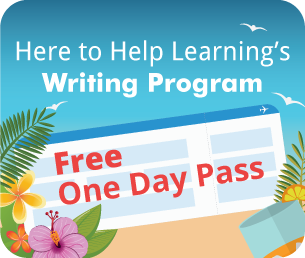 Both Gwen and Leah, along with their dad embarked on a HTHL writing adventure entitled, Heroes Today, found in Flight 1: Paragraph Writing, lessons 7-11. Meet Caleb Le Pore, my real life hero. Description: There are heroes of the past, but there are also real life heroes today! Students will learn what makes a hero and will quickly discover that those whose lives are set to honor God are real life heroes. 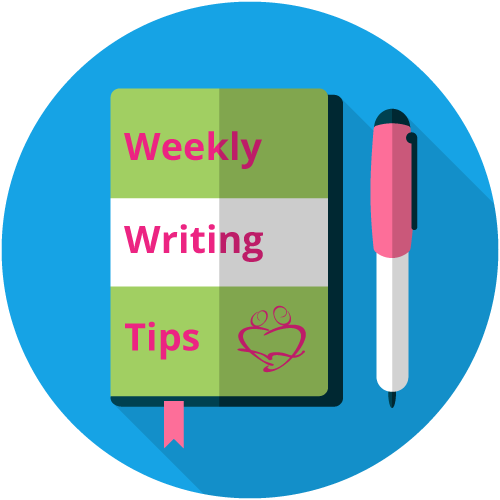 Their journey began as all good writing projects do, with the first step of the writing process, brainstorm. 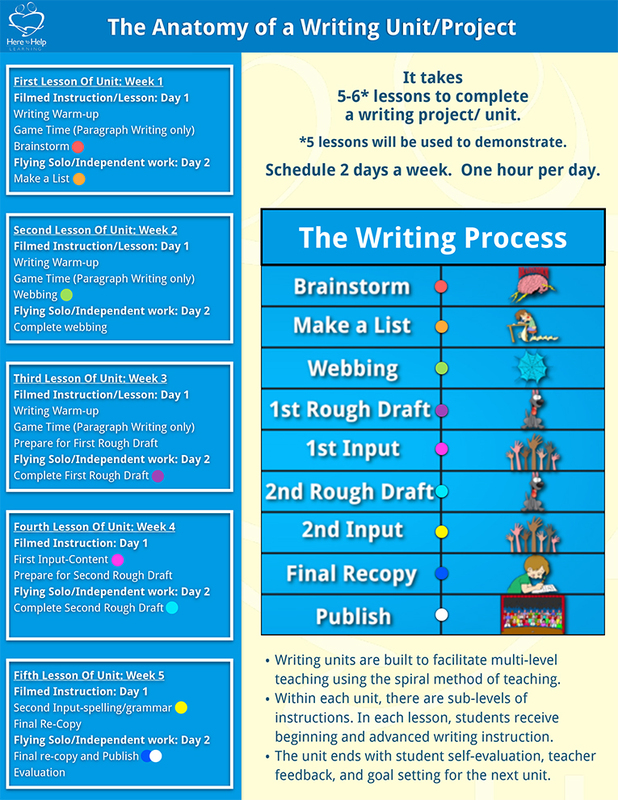 Each HTHL writing project uses a professional writer’s writing process. 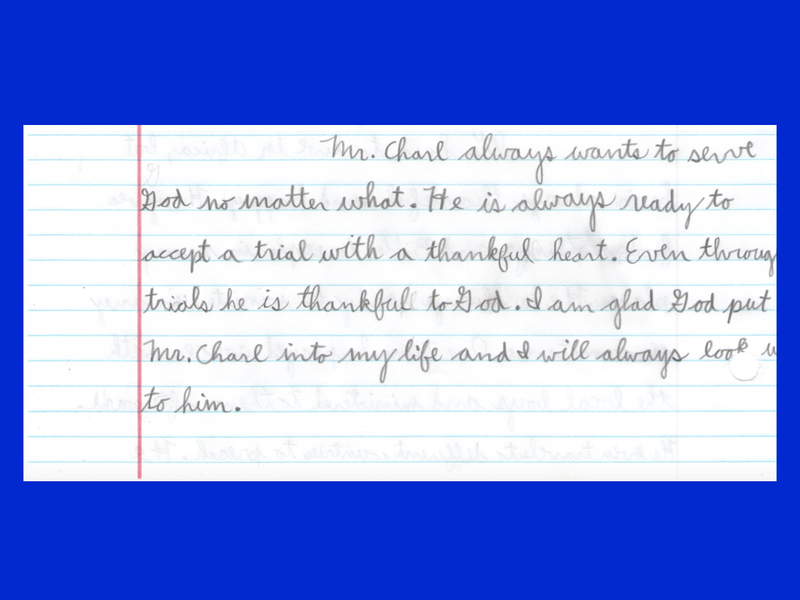 Gwen chose a family friend, a missionary as her real life hero, Charl van Wyk. She made her list and learned more details about Charl van Wyk’s amazing testimony. Mr. van Wyk was at a church in Africa on July 25, 1993, a day that would become known as the St. James Massacre. It changed his life and the lives of many. It was on this date that van Wyk shot back at the terrorists who were attacking an innocent congregation gathered in worship, and saved many lives in the process. 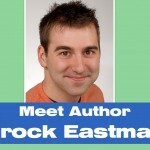 In his book entitled, Shooting Back, he describes his unforgettable journey from anger and bitterness to forgiveness and reconciliation. 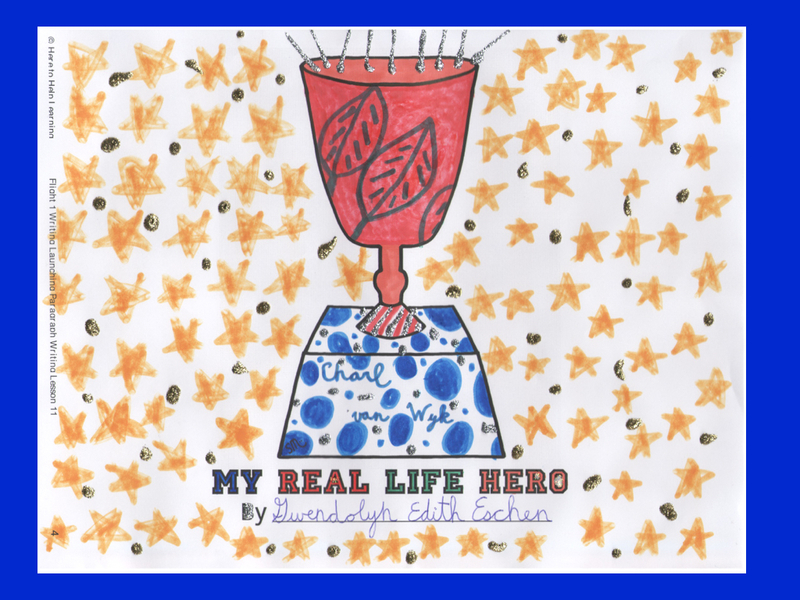 Gwen also recorded her feelings about why she admired this real-life hero. 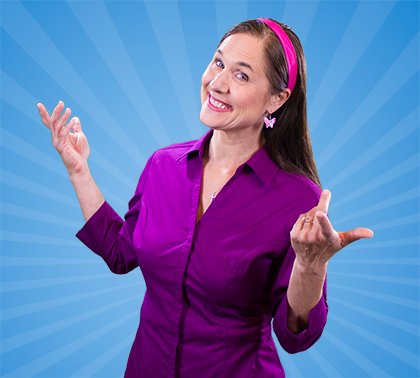 She traveled through the writing process and arrived at the last step, publishing. 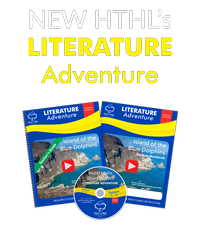 Each HTHL publishing assignment is unique to the project. 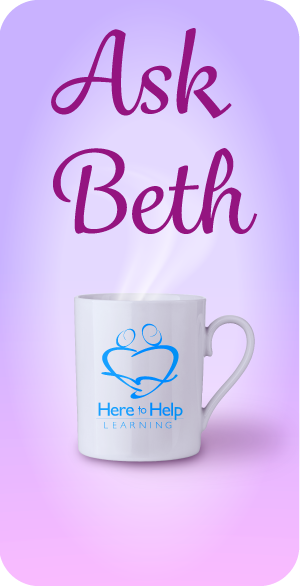 In the Real Life Hero project, the publishing assignment is to ask your real life hero what is their favorite drink, ask them to sit in a comfy chair and read the essay to them. The instructions also include that if your real life hero does not live close by, the student can use a webcam or simply read the essay over the phone. Gwen was blessed. Although Mr. van Wyk lives in Africa, he was visiting stateside. Gwen asked him about his favorite beverage. Turns out, he is a Dr. Pepper man and that is exactly what Gwen served him. 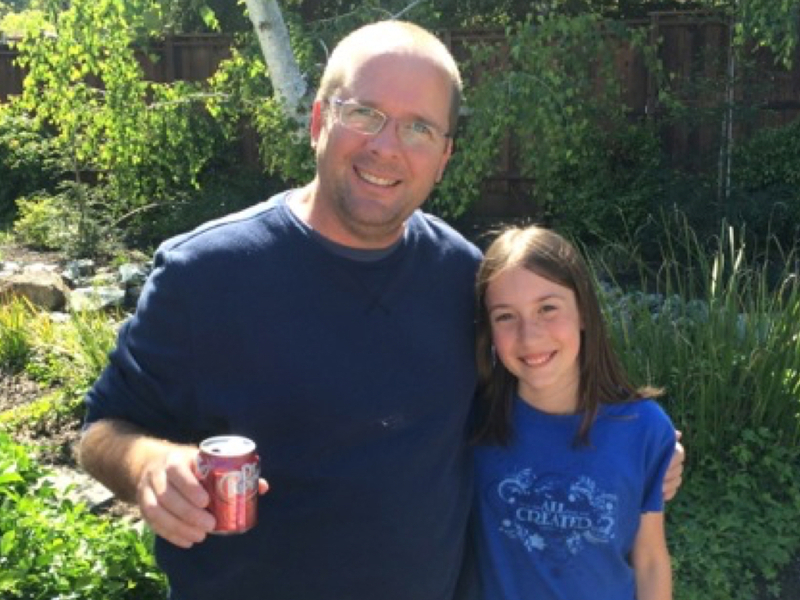 Gwen served Mr. van Wyk his favorite beverage, Dr. Pepper. Gwen read her essay to him. 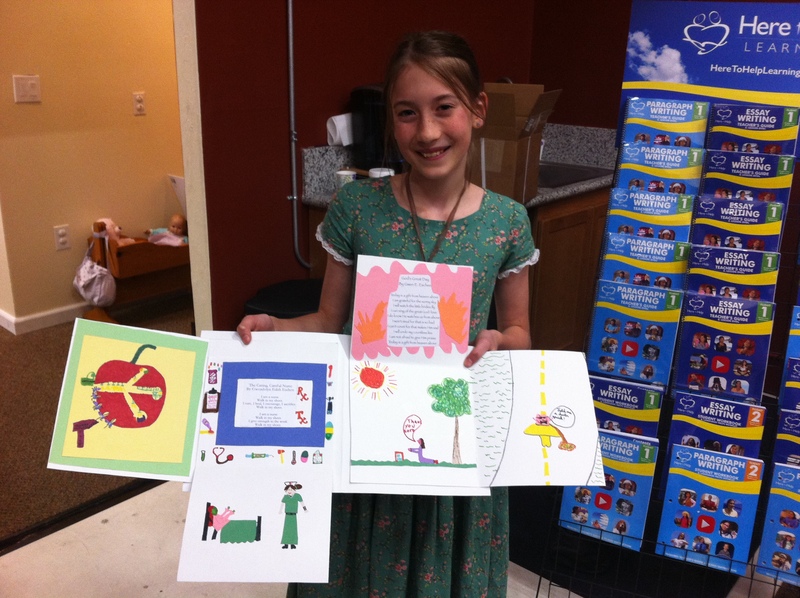 Gwen did a beautiful job coloring the cover of her HTHL essay folder! 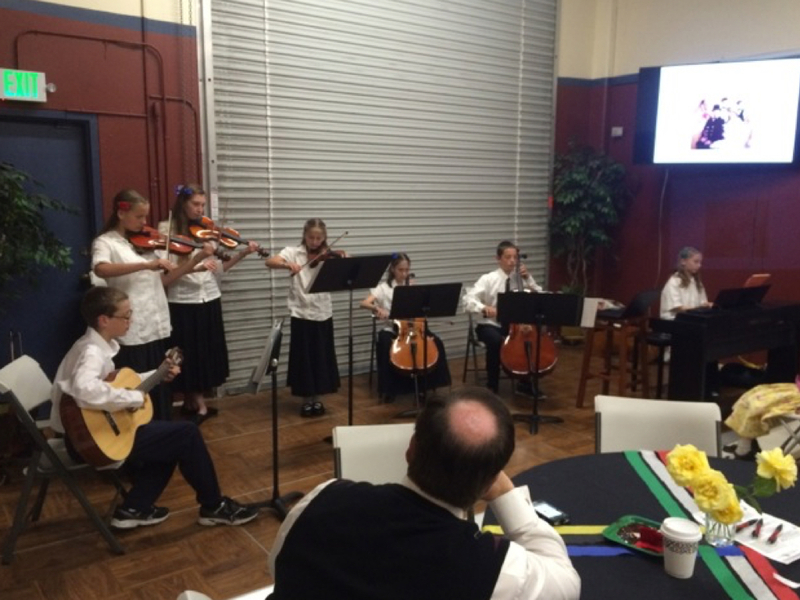 Later, the children from both families held a benefit concert to help raise funds for Mr. van Wyk’s ministry. The children played the classic hymn “Jesus Shall Reign” . Gwen played the cello and Leah played the piano. The children performed the hymn,” Jesus Shall Reign”. Gwen displaying her poetry book she created from HTHL’s Poetry Walk found in lesson 17-21. Gwen’s essay was a catalyst to a blessed experience! 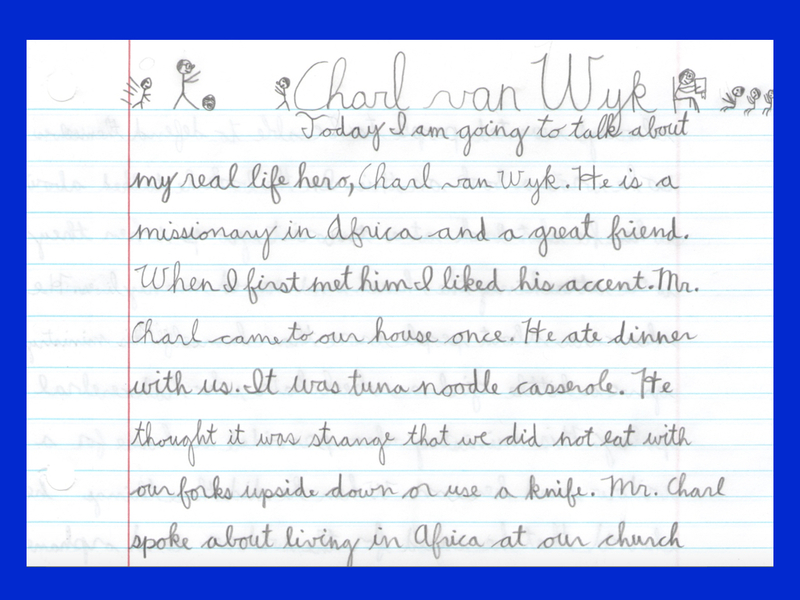 Charl van Wyk, a missionary in Africa was encouraged, and Gwen and her family have a lifelong beautiful homeschool memory. 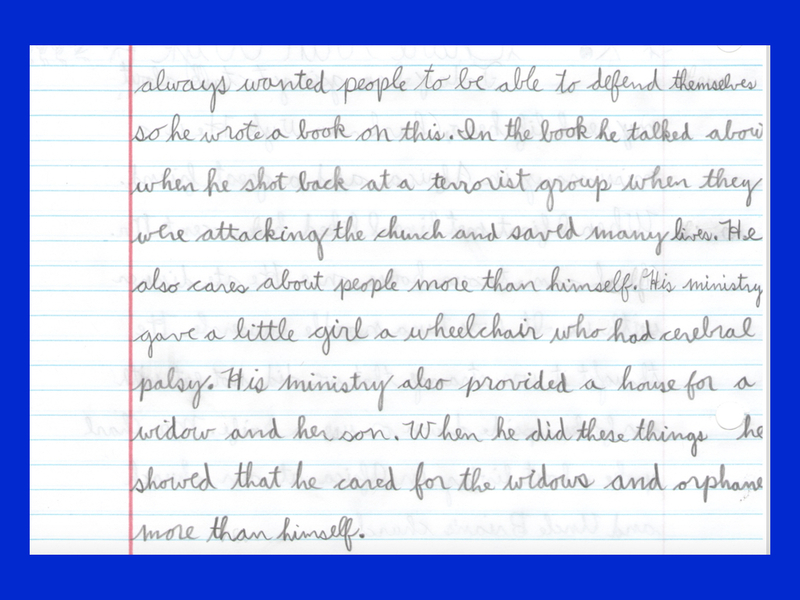 Gwen also learned that what she writes does make a difference. 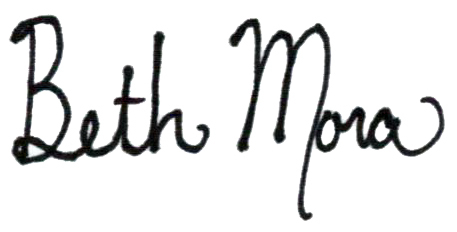 Her writing brought glory to God and helped others. 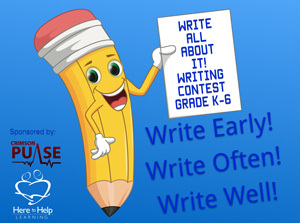 Meaningful writing projects do matter and inspire young writers to keep learning how to write! 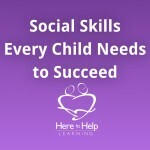 Pingback: Give Your Child a Language Arts K.I.S.S.